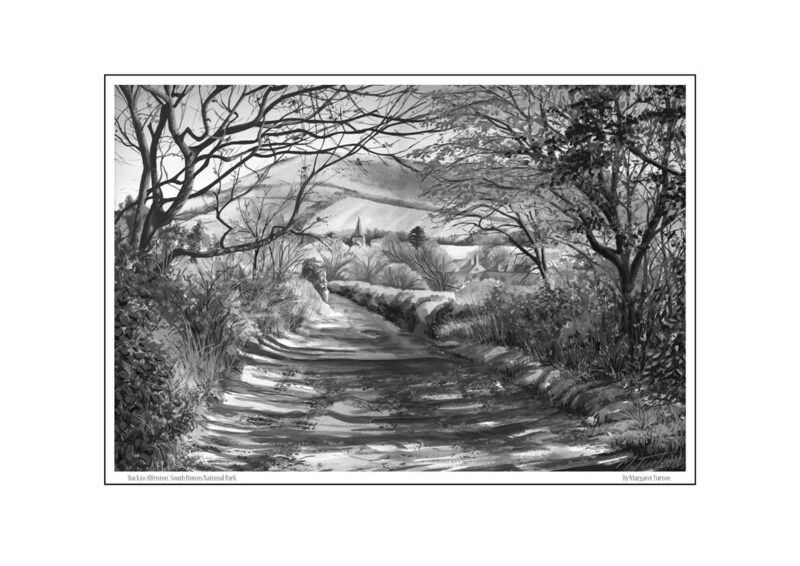 A black and white print of my watercolour painting of the view looking back towards Alfriston village in the South Downs National Park. Alfriston is a beautiful Olde English village in the heart of East Sussex in southern England. Printed onto 180gsm Matt coated inkjet paper, A3 page size including white border. Fits standard UK A3 frame (420mm x 297mm).